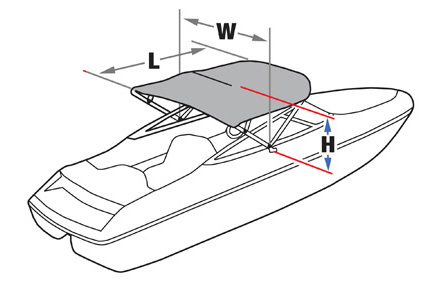 IMPORTANT: To choose the correct Semi-Custom Fit cover for your boat, you must know the Beam Width and Center Line Length of your boat! Click here for video instructions on measuring your boat. Height 36 in. 42 in. 54 in. 56 in. * *56 in. height for pontoon boats only.